* “Bad Rock” is an early historical reference to Lady Franklin Rock located in the middle of the Fraser River just upriver of the town of Yale B.C. Xéylxelamós was a shxwla:m (medicine man) who used his power to benefit himself and so was transformed by Xexá:ls, the Transformers, into this large rock named Xéylxelamós, but also known as lady Franklin Rock. Every year Stó:lō people along the Fraser River have a First Salmon Ceremony to show honour and respect to the Salmon for giving its life to nourish them. The first one caught is cooked in the traditional way and shared with everyone present at the ceremony. The bones are then collected and placed back into the river with a prayer thanking Chichelh Siyá:m for the salmon. 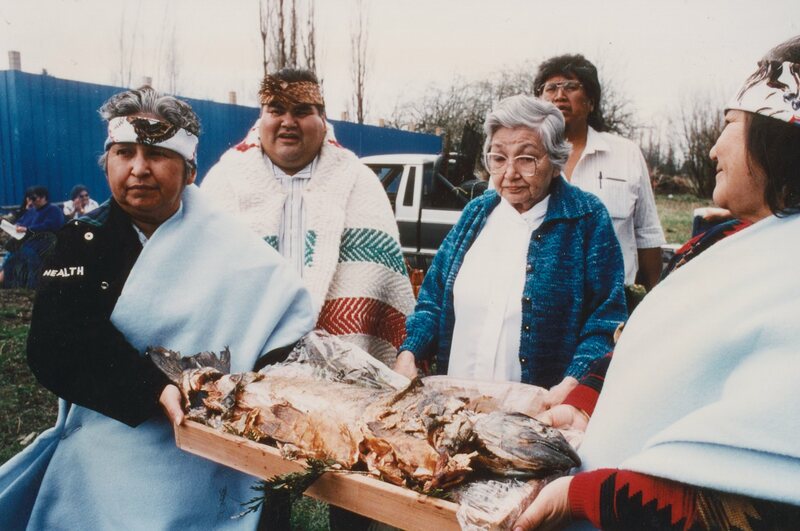 The purpose of the ceremony is to ensure that there will be plenty of salmon for all Stó:lō families during the fishing season to provide for their nourishment in the winter months. 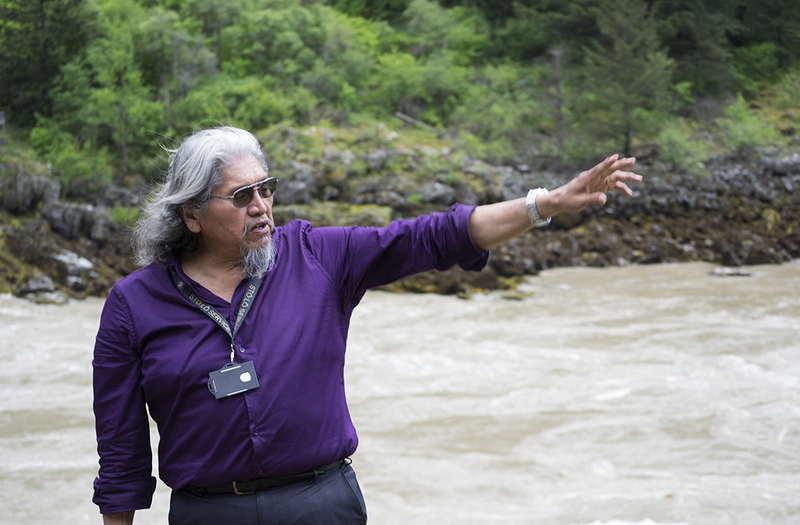 The Annual First Salmon Ceremony shows respect toward our Stó:lō ancestors. Continuing Stó:lō culture and tradition will prove the existence of Shxweli in all living things great and small. In 1997 Stó:lō Nation hosted the first People of the River Conference. 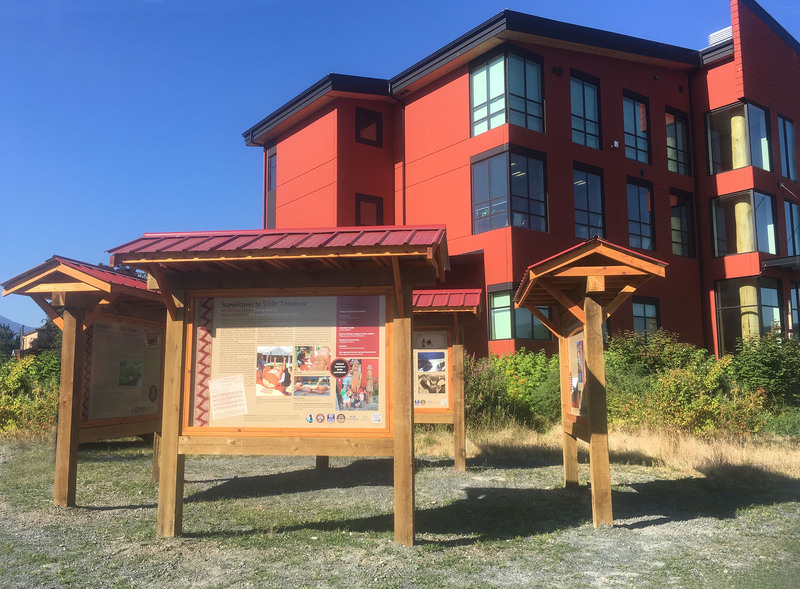 For many years the Stó:lō Nation Aboriginal Rights and Title Department (now SRRMC) worked with Stó:lō communities in numerous areas. The conference provides a venue to showcase recent research and future projects. Based on the success of the initial conference SRRMC decided to host the conference bi-annually. 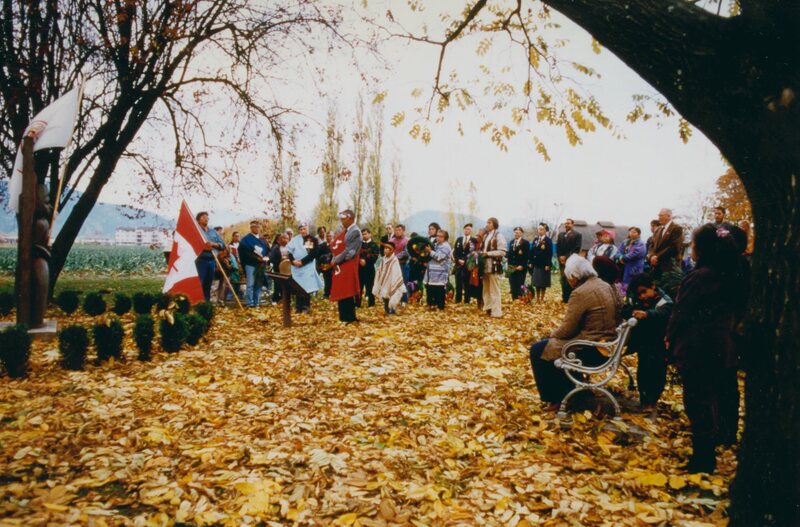 Every 11th day of November a special ceremony is held to honour Stó:lō veterans at the Coqualeetza grounds in Chilliwack, BC. The event is to recognize and pay tribute to the men and women that served in the Canadian Armed Forces - also U.S.. A special emphasis is made to not only credit their military contributions but also their post-war contributions to their communities.